Hong Kong means “Fragrant Harbour,” which probably comes from the region’s history as a harbour trading spices, agarwood, oil, and resin. The sense of a bustling exotic city remains in this vibrant business, finance, and trade hub of some 7.3 million people. Its history moving from a British colony in 1842 back under China’s sovereignty over 150 years later has developed an independent SAR (Special Administrative Region) where Western and Asian cultures coexist, balancing Chinese traditions with a modern and fast-paced lifestyle. You’ll find a broad range of entertainment, technology, shopping, career and education options, and all food on the spectrum from street vendors to Michelin star restaurants. Hong Kong’s subtropical climate means that in summer you can expect the occasional thunderstorm and perhaps even typhoon, but this does also mean milder winters. Principles of “Feng Shui” have helped sculpt a beautiful city, but there are also many green trails and nature reserves to explore, including the outlying islands, that offer an escape from the high rises and bustle. Our moving to Hong Kong guide will help you prepare for your move to this incredible area! To get anywhere in this city, you’ll need to have a Hong Kong Identity card. These are issued by Immigration. for everyone over the age of 11. You’ll need to apply for your ID within 30 days of arrival, provide your visa and passport, and make an appointment. Processing time is around 10 days. This is also a smart card which can be used for some services like libraries and various online government services. When moving to Hong Kong a visa will be at the forefront of your mind. Generally you’ll need to have a job offer with sponsorship to get an employment visa, and it’s your company who carry out the paperwork. There are a few Admissions Schemes, including for Talent, Professionals and Entrepeneurs and the General Employment Policy. Some other options include the Capital Investment Entrant Scheme, Domestic Help Visa, and Freelancer’s Visa. There are other options available, including the Dependant Visa for legal spouses and children up to the age of 18. For the whole selection of visas and eligibility, including for permanent residency, look at the services page on the Immigration site. You’ll be able to take most household items into the SAR, and there are no duties or import taxes on personal and household goods. Keep in mind that everything you import is likely to be inspected by Customs, though you don’t need to be physically present. If you do have any restricted items make sure you have a license for them before you import. There’s some great guidance on the Government’s portal and on the Custom’s website. If you’re moving to Hong Kong with a dog, cat, or other pet, we’ve got some details about that below. A lot of expats find work in finance, accountancy, IT, legal, sales and marketing, human resources, and logistics and engineering. The SAR is one of Asia’s fiscal “tigers,” so finance is unsurprisingly one of its four key industries. While it’s often pitted against Singapore for title of Asia’s top financial hub, many Chinese companies choose to list in Hong Kong. Hong Kong’s other four key industries are trading and logistics, tourism, and professional and producer services. The government has also identified medical, education, testing services, the cultural and environmental industries, and innovation and technology as up-and-coming arenas for development. Hong Kong ranks at number 15 of top salaries globally by city at $2,715 a month(click here for more). Many companies rely on guides from Mercer to make comparisons of salary costs, so it’s a useful tool to see what you can earn in your industry. And if you really want to get into the nitty gritty, the Census and Statistics Department has done what it does best and collated some numbers on labor and salaries(click here for more). You’ll need a visa to prove your right to work in Hong Kong, and if you’re already employed your company will help you with the process. A work visa is generally given for the duration of your contract or for a maximum of two years with the option for the company to apply for renewal. If you’re self-employed, an investment visa is available. You can check your eligibility and get details about applying on the Invest HK website as well as the Immigration website. The job industry can be competitive so if you’re moving without a job it’s best to start looking with plenty of time to spare. CP Jobs Hong Kong has a useful database of job opportunities and LinkedIn and Jobs DB are also great starting places. There are some international recruitment firms in Hong Kong too, including Michael Page, Hayes, and Robert Walters, so it may be worth dropping them your CV. Hong Kong has been ranked as the 9th most expensive city to live in the world and the 2nd in the Asia-Pacific region. (click here for more) Accommodation, food and groceries, and schooling (for those with children) are some of the biggest costs you’ll face. If you’re planning on having a car you can factor that in as an additional major cost. The Numbeo website provides some living cost estimates here. 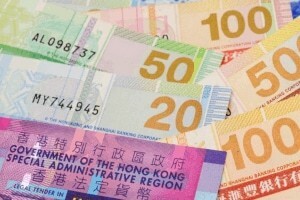 The Hong Kong dollar is the local currency. HKD$1 is equivalent to about USD$0.13, AUD$0.18, and SGD$0.17 (you can check current rates at XE’s website. 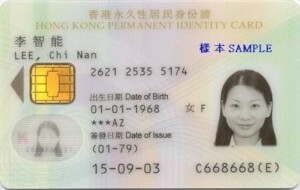 It’s easy to set up a basic current account, and being a financial hub you’ll have your pick of go in store with your HK ID card (some accept other official ID), proof of address (which can be your home address if you’re still in transit, or a friend or family member’s address), a valid visa, and a letter confirming your employment. Keep in mind sometimes there might be special packages available through your employer. If you’re keeping these accounts open while you’re overseas, pop into your bank and talk to them before you move. They may also have suggestions about banks or making money transfers. Once again, you’ll have your pick of options for sending money overseas so feel free to shop around. Banks tend to provide some competitive rates for making transfers so this should be your first port of call. 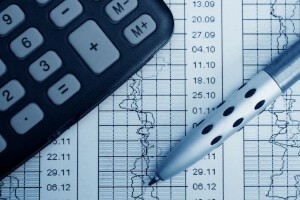 You could also have a look at well-known companies like OFX, Transferwise, and Western Union. You’re subject to tax if you’re earning income from Hong Kong for employment or services rendered for visits longer than 60 days. Tax has relatively low progressive rates, starting at 2% up to 17% with a standard 15 %. The Hong Kong Inland Revenue Department manages everything to do with tax. Tax isn’t deducted automatically so you’ll need to complete a tax declaration form at the end of the fiscal year (31 March) with a range of ways to pay available. 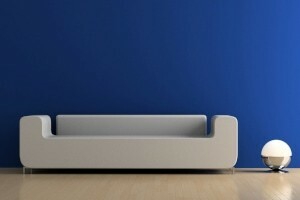 The city lifestyle and high property demand means rent will generally be high and your living space will be small. Most housing is in modern and secure high rise apartments (sometimes with facilities like a swimming pool or gym), though larger housing can be found out of the city centre. Older houses tend to be cheaper to rent or buy than modern builds. And if you go through an agent, don’t be afraid to stay firm on what you’re looking for but do check what their commission is first. It’s also likely your employer may be able to help you find a place to live. 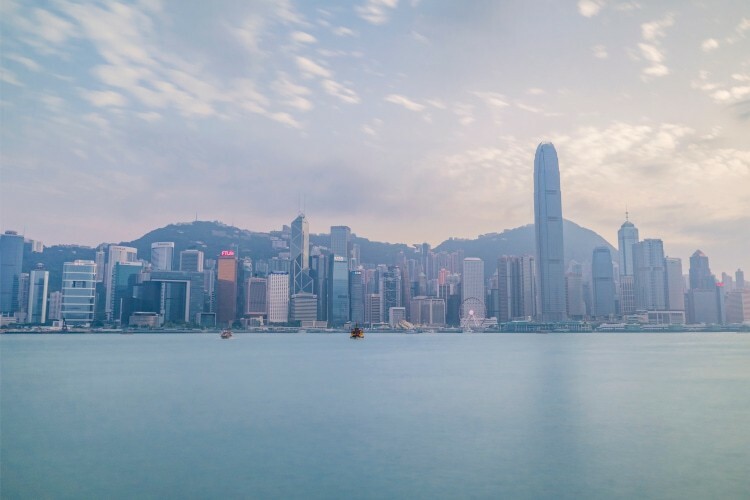 Due to the transient nature of the SAR, property moves quickly in Hong Kong, which means if you find the ideal place snap it up quick but if you’re not sure and can afford to wait, it may be worth the risk – the ideal thing may yet come up. Some helpful online property sites for renting, buying, and serviced apartments, are Go Home, Square Foot, and Okay. The Housing Department also has plenty of information to help you in your house hunt. If you decide to live on the island part of Hong Kong you’ll have easy access to the busy cultural life of the top entertainment and dining (and an easy commute if you’re working in the city centre) but as with any city you can save on accommodation by living off the island and still enjoy the culture of your neighbourhood. Some neighbourhoods to consider are Wan Chai, both a commercial district and fashionable residential area; the Mid-Levels, popular with young couples and expats for its proximity to the centre and to some good private schools and outdoor attractions; and the more affordable North Point which is a little quieter and has more of a local population. But there are many other areas, so know what you want and do some research! The Home Affairs Department is a great place to start. There’s a strong rental market in Hong Kong because it sees so much turnover of people. To rent, you’ll need to provide an ID and a letter from your employer that gives evidence you’re earning enough to pay rent. Rental contracts are usually for two years and follow a standard contract form, although landlords are able to add their own clauses, and you may be able to negotiate for additional furniture or whiteware. A security deposit is generally the equivalent of two or three months’ rent and will be returned when you move out. Depending on your needs, you might also want to look into Public Housing. For costs, Squarefoot have a useful Buying monthly rental index. An expensive option and probably only worth it if you’re intending to stay long-term. The property market is on the rise and has seen a series of record-breaking prices over the last few years. Without a permanent residence already it can be more difficult to buy and it’s also worth keeping in mind many local banks don’t like to give out loans for those without a long financial record in Hong Kong or who’re looking to buy an older property. While you’re making the move over you might need to find somewhere to store your things, and given the high demand for space it can be easier to let someone handle the process for you. There are various storage options available, but Links are able to arrange storage for you. Once you’ve found your place, you can take the pain out of moving in by looking at some simple services. Domestic help is relatively cheap in Hong Kong if you want someone to help you keep things tidy, or if you’re after a one-off to make sure your new home is ready for move-in day we do offer a maid service. Some landlords maintain utilities in their properties and simply charge you based on usage, so check about this (it’s so much nicer when everything’s arranged in advance). If there’s any work needed on the property that your landlord won’t cover in your agreement, our handyman service is another option to make things run smoothly. You’re moving to a city that’s considered number one in the world (click here for more). You should have no problem getting fast, reliable internet in this city via WiFi or broadband, and you’ll also find many internet companies will offer additional services to their customers including games and online TV. Some of your options are PCCW, Netvigator, Pacific Internet, Hong Kong Broadband, HKNet have all got options (often for multiple services). Shop around for the deal that will suit you best. The main mobile operators are China Mobile, PCCW Mobile, CSL, 3, and SmarTone Vodafone. Contracts and prepaid SIMs are both available. If you’re hoping to bring your phone from home with you check that it supports your new provider’s GSM (you can drop them a line) and make sure it’s unlocked. Fixed lines are likely available through your internet provider – and it might be worth noting that all fixed line calls within Hong Kong are free! Depending on your location, Hong Kong Electric and China Light and Power are your options, and you can apply for these online. For water utilities, you’re looking at the Water Services Department . Testimony to its colonial history, Hong Kong uses the British plug (three flat prongs, Type G) with a voltage of 220 AC, 50 hertz. There are a huge range of healthcare services on offer in Hong Kong. As well as some privately owned hospitals, there are some 50 public hospitals run by the Hospital Authority of Hong Kong . Your ID card will entitle you to very cheap healthcare, but if you’re with a large company you may also have some health and dental cover. It’s a traditional Chinese belief, and it can be taken very seriously in Hong Kong(click here for more), even in the business arena. If you’re looking for a way to engage in local culture and give your new home beautiful interior design while setting yourself up for good fortune, you could do worse than apply some feng shui principles to your life. It’s always nice to get first-hand advice from people who’ve been there and done that. Asia Expat and Geo Expat are great resources and the forum for the Discovery Bay neighborhood also has lots of information and a strong community. When you’re moving to Hong Kong guide yourself with feedback from others – it’s always very useful. When you’re settled in make sure you update your address on any official documents or systems, including with your employer and on your ID card. Children attend school from age 6, with many spending time in nursery at 2 years old and kindergarten from 3. School has three terms and generally begins in August or September and runs through to summer holidays in June or July. Do your research before you arrive and get the enrolment process started as soon as possible – applications can be submitted up to a year in advance and some might ask for a reservation fee. Apply to as many schools as possible. Places for overseas students are at a premium and you may face a long waiting list or even no vacancies if you’re not prepared, but once your kid is in they can expect a very high-quality education. There are local schools that teach in Cantonese, English Schools Foundation (ESF) schools set up with expats in mind, and schools established for countries from Europe and other Western countries. Decide what kind of school you’d like your child to go to first and if you do go local keep in mind the Education and Support Services for Newly-arrived children offered by the Education Bureau. Can’t stand to leave your beloved family pet behind? Make sure you’re allowed to and that you know the regulations and license requirements for moving to Hong Kong with a dog or other pet. Dogs, cats, and ferrets all require a special permit. You may also need to arrange vaccinations, a test for rabies, and certificates, depending on your animal and where you’re moving from. The Agriculture, Fisheries and Conservation Department manage importation of animals and have information on their website. If you are importing your pet we can take good care of them with our Pet Relocation Service. As you’d expect in such a modern and busy city, it’s fairly easy to get around. Due to the islands and water, you’ll find ferry options as well as the trains and trams common to most big cities. It can make for a rather pleasant commute. Take your pick of trains, busses, trams, ferries, and taxis. An Octopus card will set you up for public transport payment, as well as buying drinks and food at some cafes and bars. Other costs may be high but public transport is fairly cheap (though t keep in mind you can’t eat that sandwich you just bought while you travel; eating and drinking is off limits onboard). The Octopus card costs HK$150 including HK$100 worth of travel and a refundable deposit of HK$50 and you’ll save about 5% on ordinary fares on the MRT. You can buy and recharge them at stations. The government has a focus on pollution and climate change and as such discourages owning a car. If you do decide to make the purchase, you’ll have to fork out a registration tax based on its size and value and pay an annual or four-monthly license fee, as well as face high fuel costs, limited parking, and very high traffic density. If you’re after a second hand car you’ll need a Certificate of Clearance, and if you want to bring over your own car there will be regulations for that as well. The Transport Department has all the information you should need about licenses, taxes, and costs. GoWiFi turned Hong Kong into a wireless city in 2008 and you can find public access at around 2,000 hotspots around the SAR – not to mention the free WiFi offered by many companies and tourist destinations. It’s an easy way to check where you are, or keep an eye on any line delays, while you’re on the move.